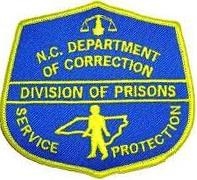 Below are the prisons and jails located in North Carolina. Each of these correctional facilities has its own rules and regulations concerning visiting, sending inmates money, mail, packages etc. Our users can also access visiting applications and search the online database of inmates. We ask that all our users contact the correctional institution prior to their actual visit to ensure the visiting hours have not changed. We continually update the hours of institutions because some of them change frequently. If you find any errors in our information or just have a question about an institution, please let us know about it by leaving a message on the bottom of any facility pages.